Last edited by roraniel; 9th April 2009 at 01:58. I love looking at different desktops,thank you for sharing and starting this. Nice idea. If you use a dock, check out Taskbar Eliminator. It is a nice utility which will simply and efficiently hide / remove the taskbar from Windows 7 or Vista. I use rocketdock. I have it set to auto hide but I had it up to take the screen shot. I like your samurize design very clean iMav but what does 401 stand for?? 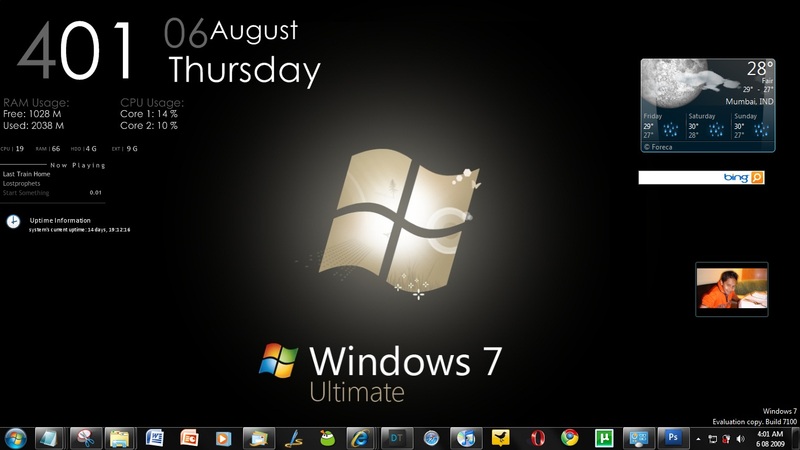 How to center your taskbar icons in Windows 7 | The Windows Club may interset some.